After 20 years as a social worker, she decided to quit her job and pursue fitness training in 2009. "I said, 'Either you’re gonna do this fitness thing or you’ll be working for someone else for the rest of your life,'" she told BuzzFeed Life. “I haven’t looked back since… I love what I do!” . After a career in social work, Ector decided to pursue fitness full time, founding "Black Girls Workout Too!" with her daughter, Lana. Specifically focusing on health issues that face African American women, the workout DVD series aims to demolish the statistic that four our of five African American women are overweight. Ellen also organizes walks for adults with diabetes and trains kids in track, field, and cross-country running — basically, she wants to help people from all walks of life learn to take care of their bodies. on Instagram. In the meantime, get inspired by Ellen's incredible physical shape, and remember that anyone — no matter their age — can lead a healthy life! She now co-owns Gymnetics Fitness and GymJuice in Atlanta. She and her daughter Lana also released Black Girls Workout Too!, a fitness DVD series that’s developed a strong social media following. All of the exercises can be done with little to no equipment, an intentional decision by the mom and daughter team. She also says that it makes working out affordable for women who may not have the means to invest in a gym membership or buy workout machinery for their homes. The series consists of two videos, with a third expected to release this winter. 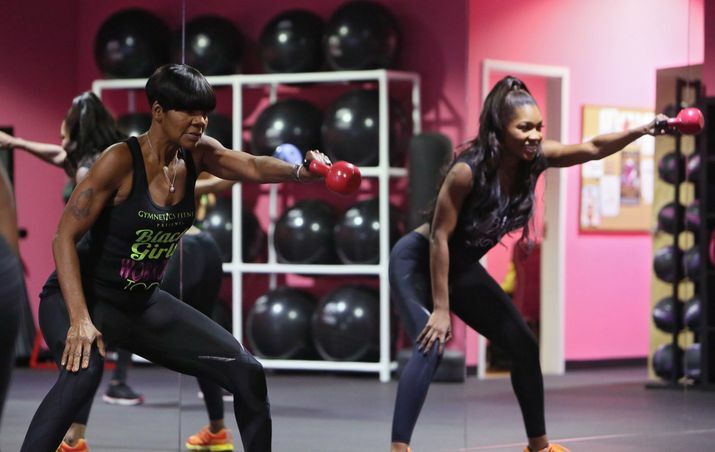 The fitness guru was especially interested in targeting black women after her mother died of uterine cancer at age 63. The CDC reports that 57.6% of black women 20 years old and older are obese. And obesity, according to Mayo Clinic, increases the risk of uterine cancer. 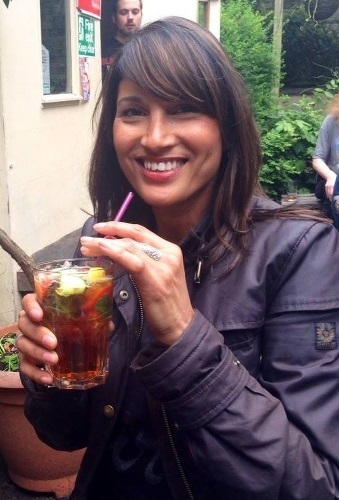 And because health is so much bigger than the physical, she also dropped this little gem……. 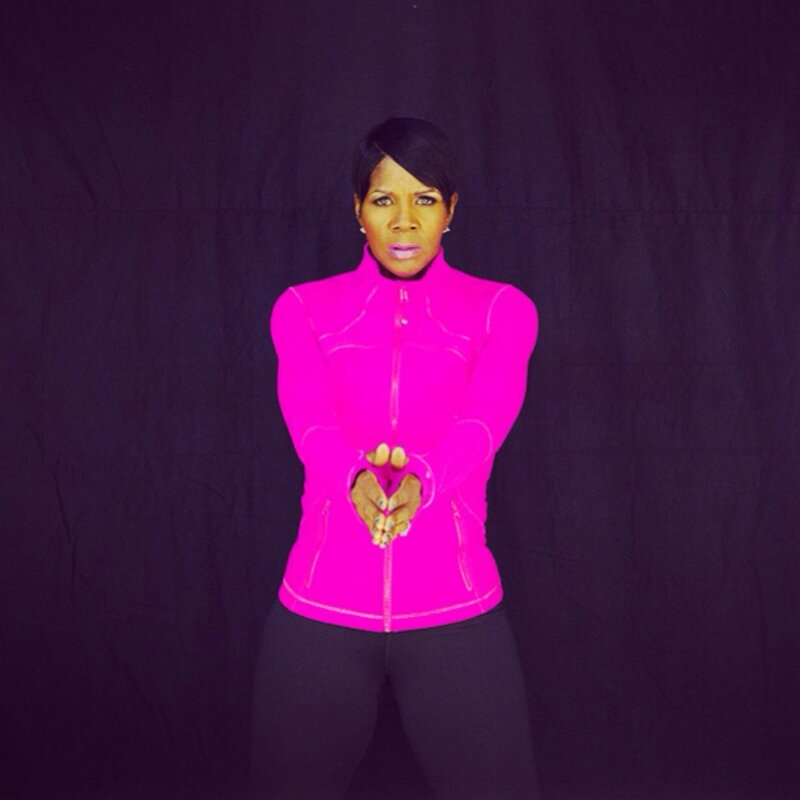 Carla Kemp, Fitness Coach, AGE 53 !!! Barbara Server, Age 54!!! WOW!! How many hors of traing day does it take to look like that? I think an hour of training consistently get you in shape. Personally, I don’t think it’s the amount of time, but the intensity of the exercise. The body adjusting to new stresses from intense exercise will result in toner muscle and fat loss. Some effective workout routines can be done in a half hour. I am a wellness blog writer, and this article about Ellen Ector, is just and article I posted from another article I ran across on the web. I have no affiliation with her. So I don’t have a gym in LA, and if I am correct, Ellen lives in Atlanta. So if you live in LA you might just have to start shopping around for a personal trainer in that area to can help you. This is a blog that wrote an article about Ellen, I don’t know her personally. You hay have to try to connect with Ellen via her instrgram or Facebook links that I put in the article. LOVE THIS! IF YOU AND YOUR DAUGHTER CAN DO IT, ME AND MY SPECIAL NEED DAUGHTER CAN DO IT!! Every story is inspiring!! This has confirmed that I am going to invest in myself and begin the journey to health and fitness and become a personal trainer and nutrition coach!! Thank you all for sharing!! Best of wishes of success with your personal training endeavors, Thanks for taking the time to read and comment…. I am struggling with working out. What do I need to do to get excited about working out? I want the great look, just need some motivation to get started. Also, I need a solid diet plan, what do you suggest? The struggle to work out is a hard question, because many of us have always been naturally motivated and it’s no big deal. All I can say is try to start at any activity you enjoy, even if it’s taking a walk up a hill to a lovely view. I find that once you get into working out, you body will start asking for more so you don’t have to force yourself. So far as eating programs, I doubt if I can do much there, eating plans are not my thing. I simply believe in quality food for what you can afford. If you look through my site, you’ll see it’s more about recipes for good food, good chicken, good eggs, etc, but no eating program. If you look “in the “Eat Smart” section, that is where I talk about superfoods that are good for the body, but everyone finds their own way with what they take in. Also, the two points sometimes are related, because poor eating habits makes people sluggish, and they have no motivation or drive to work out. Good eating habits give the body energy and drive…. I don’t think my response truly answers your concerns, but write back if you want to discuss more, it takes time to get one’s thought process around an approach to wellness. Your Comments i just turned 60 on 01-01-2019 i am over weight. I used to work out in the pool. I burned myself out. now i have gained the weight back please help if you can. I’m not certified or licensed in anything, but the advice I give family and friends is pretty practical. Go to my “Fifty Fit and Fabulous, Barber Server article and read all my longer comments at the bottom of post”. Look under the name “Doug Wallace”. I think they sum up all the practical advise I give people, with many link to other articles in this post. The short version of it all is you have to exercise and the other important impart is you have to adjust your eating program because too many foods we take in add to body fat (Canola Oil is one of the biggest examples of foods that add bodyfat). Doesn’t mean you have to eat less, you just have to know what to add and what to take out of your diet.